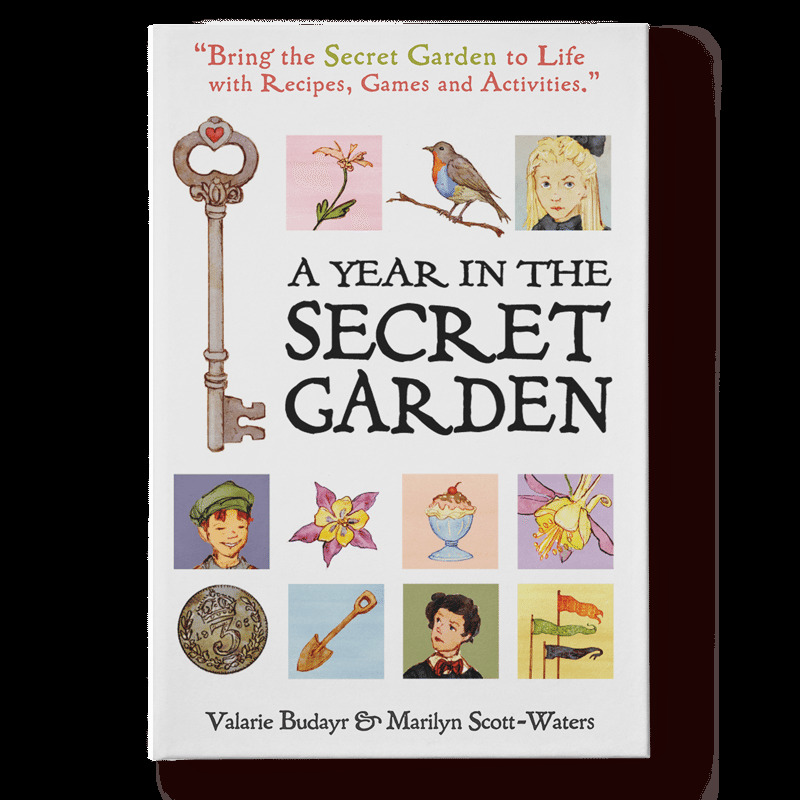 Award-winning authors Valarie Budayr and Marilyn Scott-Waters have co-created A Year in the Secret Garden to introduce the beloved children’s classic, The Secret Garden to a new generation of families. This soft-cover children's book uses over two hundred full color illustrations and photos to bring the classic story, The Secret Garden, to life in modern ways. Filled with fascinating historical information, monthly gardening activities, easy-to-make recipes, and step-by-step crafts this exceptionally high-quality books is designed to enchant readers of all ages (including adults!). Each month your family will unlock the mysteries of a Secret Garden character, as well as have fun together creating the original crafts and activities based on the book. It's time to coax kids away fro their electronic devices and into the kitchen, garden and craft room.